March is a month for theater classics at Bates College. Elizabeth Castellano, a Bates junior from New Suffolk, N.Y., directs the college’s production of David Mamet’s Oleanna, a highly charged story of sexual politics in the halls of academe. Performances take place at 7:30 p.m. Thursday and Sunday, March 10 and 13, and at 2 p.m. Saturday, March 12, in Gannett Theater, 305 College St. Meanwhile, the theater department honors French culture and marks the 50th anniversary of its mainstage venue, Schaeffer Theatre, with a production of Molière’s 1672 satire The Learned Ladies. Martin Andrucki, Dana Professor of Theater, directs. 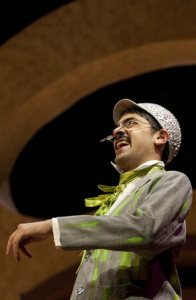 Performances are at 7:30 p.m. Fridays and Saturdays, March 11-12 and March 18-19, and 2 p.m. Sundays, March 13 and 20. Schaeffer is also located at 305 College St. Admission to Oleanna is free and first-come, first-seated. Tickets for The Learned Ladies are $6 for the general public and $3 for seniors and students, and are available at www.batestickets.com. For more information, please call 207-786-6161. 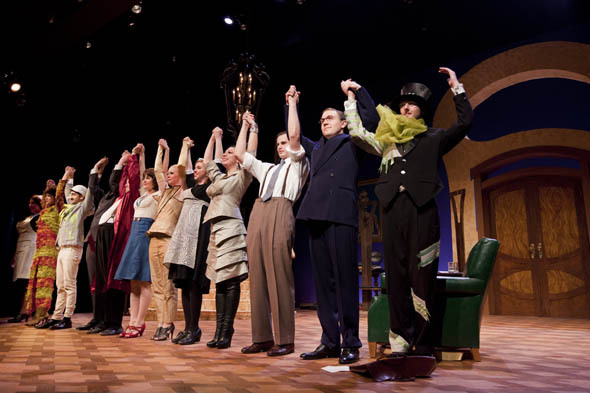 Read more about The Learned Ladies, Lavinia Schaeffer and Schaeffer Theatre.